Wayland mothers Jean Seiden (left) and Pam Washek both lost battles with cancer, but not before starting the Neighbor Brigade, a network of volunteers that helps individuals or families facing illness or tragedy. 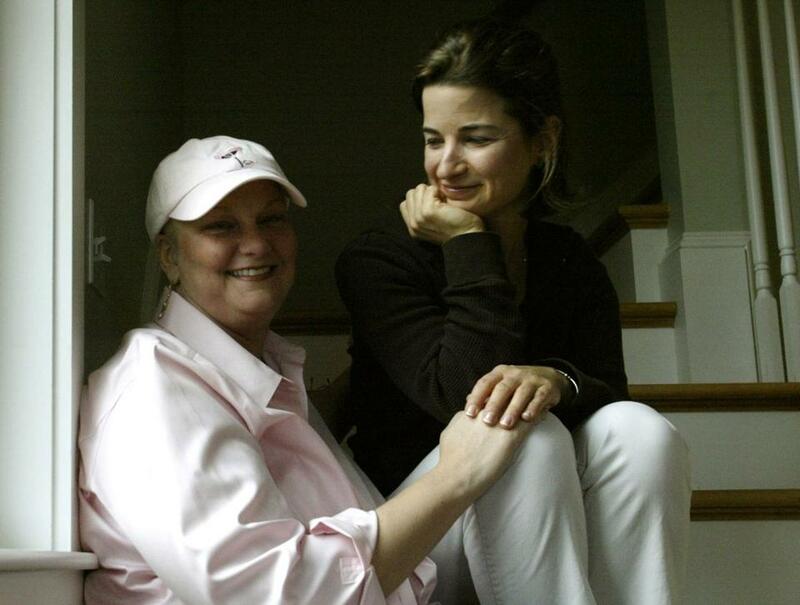 Pam Washek of Wayland died in 2012 after a 10-year battle with cancer. But she left behind a the Neighbor Brigade, which she had formed with her friend Jean Seiden, who also lost her fight against cancer. The brigade is a network of community volunteers that helps individuals and families with their daily needs when faced with illness or tragedy. The brigade has 27 chapters in Massachusetts, and six in other states. Last year, the group helped more than 2,500 people, delivering more than 1,100 meals and completing nearly 6,000 tasks. In keeping with Washek’s vision to help even more people, the organization’s reach has grown. The nonprofit’s biggest fund-raiser, Pam’s Run, which Washek’s family created after her death, will take place this year at 10 a.m. on Oct. 14 at Claypit Hill School, 40 Adams Lane, Wayland. Those interested in registering for the event can visit www.pamsrun.com. Donations also are accepted at the site. Onsite registration and same-day bib pickups begin at 8:15 a.m. Neighbor Brigade’s services include meal delivery, rides to medical appointments, dog walking, housework, taking the trash out, and other ordinary chores made difficult by disease or disaster. “It has to be a temporary crisis,” Mendoza said. The organization was founded in the spirit of volunteerism and thrives because of it, Mendoza said, adding that many Neighbor Brigade volunteers had previously benefited from the group’s services. Neighbor Brigade processes recipient requests and the recruitment of volunteers to fulfill those requests sensitively, quickly, and free of charge. For more information, visit neighborbrigade.org or call 855-241-HELP (855-241-4357). Paul Kandarian can be reached at pkandarian@gmail.com.